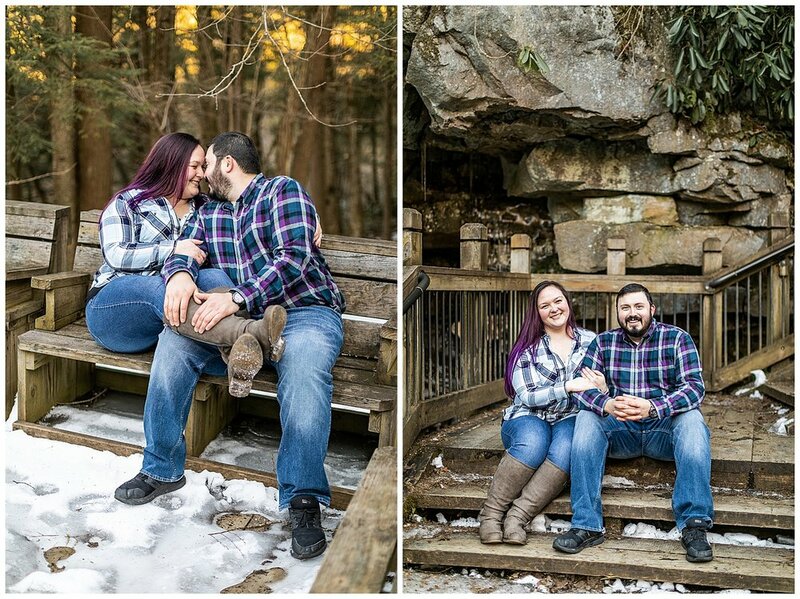 About a month ago, Patrick and I went away on a little mini vacation out to Deep Creek. We always stay in a place called Herrington Manor. We first went there a couple months after we were married… a cabin in the woods in the winter. I gave it to Patrick as his wedding day present. We are soooo glad we did their session out there. If you haven’t been to Swallow Falls, it’s a gorgeous waterfall in Deep Creek that you can hike back to. 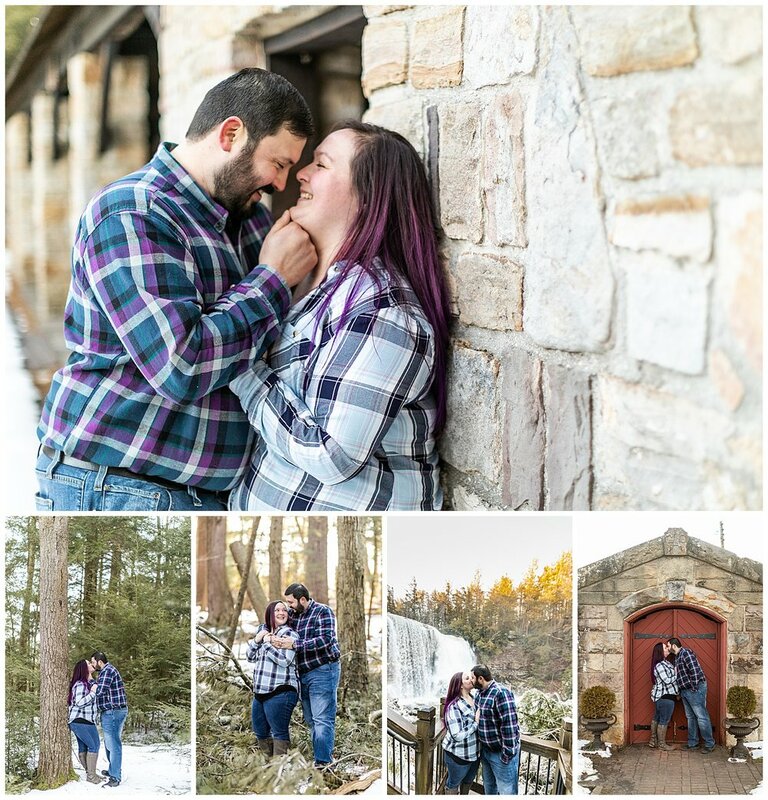 It definitely was snowy and icy, but nonetheless, these guys got their winter engagement session, complete with snow and ice! Brittany and Juan, we loved our time with you. Thanks for hiking back to the waterfall, trusting us through thick and thin (ice that is haha) and even letting us bring Zeke with us. What a photobomber! Scroll to the bottom to see the behind the scenes of Zeke during the session! I still can’t believe how icy it was on our adventure. I think all of us slipped a few times! Now every time we go to that pizza place we will think of you guys too… biggest pizza ever. Can’t wait to see you guys again!